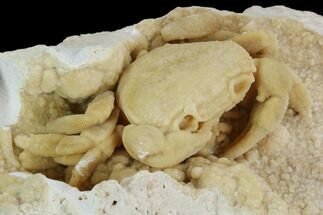 This is a 3" wide fossil crab (Portunites) from Southwest Washington. 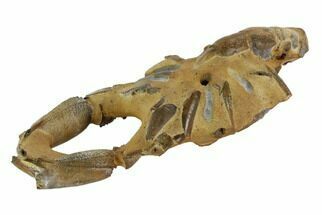 These crabs are found within hard concretions (a mass of rock that forms around organic manner) which must be broken open to find the crab. 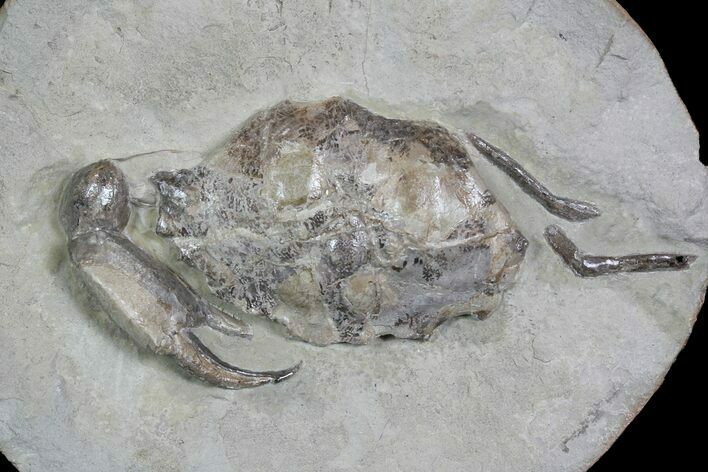 The crab must then be prepared from the hard concretion using air tools, a very time consuming process. 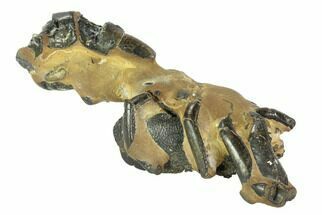 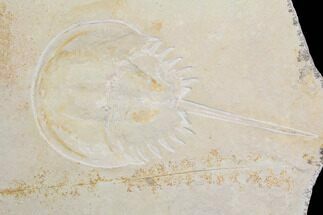 Both sides of the concretion are included. 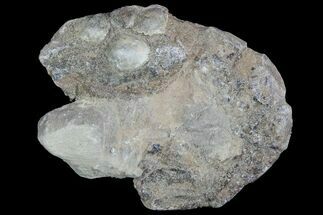 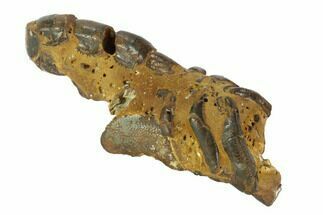 Portunites is much more rare than the more commonly seen Pulalius vulgaris.